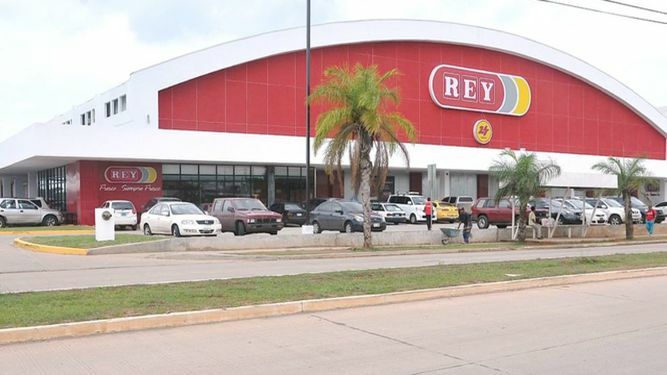 Control of El Rey, one of Panama’s leading supermarket chains has passed into the hands of Peru’s top retail giant. The surprise announcement came on Wednesday, November 7 when Rey Holdings Corp. the major shareholder revealed majority shareholder revealed that it has reached an agreement with " orporación Favorita " for the sale of a controlling interest in Grupo Rey. The price per share is $8.58 and the acquisition will be executed through a Public Offer of Purchase of Shares in the Panama Stock Exchange, where Corporación Favorita will commit to acquiring at least 60% of the common shares of Grupo Rey. The transaction is estimated to close in January 2019.
" Grupo Rey is very excited to embark on this new stage with a company like Corporación Favorita, which has more than 65 years of experience in the industry and has proven to be a benchmark in the region for its high levels of profitability, sound business principles, integrity, high focus on the welfare of its employees and customers, and the constant search for excellence and efficiency in all its operations, "a company statement. Hernán Muntaner, General Manager of Grupo Rey, said that " the transaction marks a new milestone in the history of Grupo Rey, and will help us offer customers more and better products, and at competitive prices in Panama ." Well, since I am new to this part of the world. I have a big question?. is El Rey the same company as in Costa Rica?. In my opinion most likely not!. El Rey in Costa Rica products are mostly candy, clothes, garden supplies, electronics, garden supplies, school supplies, kitchen things, etc, etc. LOL!!! At breakfast this morning I was quoting this article. Our cleaning lady is here today, and as soon as I said Peruvian company she said. " No no -- Ecuadorian company". Even day workers seem to know more than the "press" about what is going on. El Rey is not doing bad with their prices and weekly offers on their products. Riba Smith is still more expensive with most of articles they sell. This is for the Panama province off course where they fight for customers between Xtra, 99 and Machetazo included. Yeah, eventually we'll find the time to sue them for sloppy copyright infringement. Have you seen some of the stuff they copy from El Siglo, along with the photo watermark? Who are they trying to kid? It's a good thing we read this stuff with the ad blocker on. They're blatantly ripping off other people's work. It's sad. "Competitive prices?" Only if they reduce prices. El Rey/Romero already has the highest prices of all. At least in my neck of the woods--Chiriqui. Corporacion Favorita is an ECUADORIAN company. If you are going to copy the info from La Prensa at least try to get it right! !